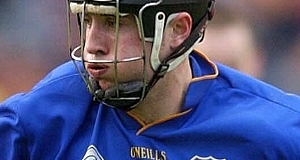 Eoin Kelly is desperate to avoid talk of 2010 as Tipperary’s senior hurlers look to get their championship season back on track. Kelly was captain three years ago when Tipp recovered from a 10-point defeat against Cork in the Munster championship to finish the season as All-Ireland champions. But the 31-year-old forward insists history is irrelevant as Tipp look to bounce back from a disappointing Munster SHC semi-final defeat against Limerick. The Premier County will discover their opponents in phase 2 of the All-Ireland qualifiers next Monday. And six-time All Star Kelly is anxious to atone for that Gaelic Grounds setback as quickly as possible. He said: “We’re disappointed but we have to move on. We can’t keep dwelling on it and I don’t want to hear anything about 2010 because that’s 2010. It’s 2013 now. Kelly was speaking in Semple Stadium yesterday as Tipperary GAA officials announced a deal with Clean Ireland Recycling, who have come on board as new sponsors of the county hurling and football championships. And Kelly admitted he was left bitterly disappointed when training ground form did not transfer itself to Limerick. “Those levels in training – we didn’t bring them out on match day against Limerick. And if you don’t bring them out on match day for those 70 minutes, you’re not going to win. Meanwhile, Tipperary county board chairman Sean Nugent expressed satisfaction following yesterday’s sponsorship announcement. The Recycling company will sponsor the senior, intermediate, junior, U21 and minor football and hurling club county champions. He explained the money involved is “commercially sensitive information”.